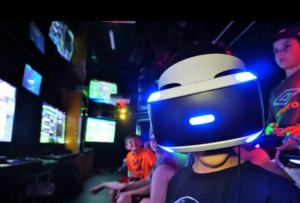 inflatables | Pittsburgh's Best Mobile Video Game Truck & Laser Tag Birthday Party Place in Pennsylvania! Allegheny County and MORE! FOOD, GAMES & ACTIVITIES FOR ALL AGES! Free Parking * Free Admission *Free Attractions! Dancetime Studio, Tang Soo Do Karate, Montour Drum Line, Broadway Dance Studio, Thomas Dance Studio, MLS Cheerleaders, St Malachy’s Cheerleaders, Our Lady of Sacred Heart, All Star Athletic & Gymnastics, and more…..
As always, more surprises to come! HOLY TRINITY WILL HOLD A DRAWING FOR A BRAND NEW CAR MAIN STAGE AT 7:00 GRAB YOUR TICKET TODAY! Be a part of our team on September 15th! 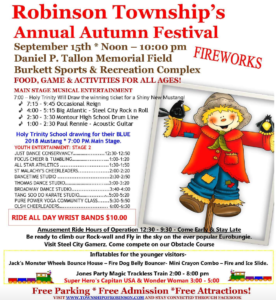 Robinson’s Autumn Festival is growing every year. All community, booster organizations, sports organizations and businesses are encouraged to participate. Vendor applications are being accepted until August 24, 2018. Visit our web page after July at www.townshipofrobinson.com to print an application. Join Steel City Gamerz for this years annual Celebrate Chartiers Day at Arnold Park & the Chartiers Township Community Center on Sunday, June 24, 2018! 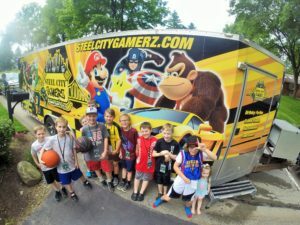 6pm – Mark West Kid Zone – Barnyard petting zoo and pony rides, train, inflatables, spin art, and Steel City Gamerz with a Mobile Video Game Truck.